Free Software! - (EPT) Excellence Private Training Sign up online today! PaSTOR D sign up today for private training (In-Home). We provide piano, guitar, bass, keyboard sequencing, voice, song writing lessons. Also audio & video production graphic design, website designing and ministry preparation & bible training. Resources l Music Industry Info l Gospel Musc Tracks l Free Software! What Software Do You Have Installed On Your Computer? There are various types of software you are probably in need of to enhance your EPT training experience and to help you in maintaining a very well organized, systematized, and efficient home computer. I've searched the Internet and collected very useful (FREE!) software that you may download from the individual web sites listed below. Each company also provides a purchase/Pro/Premium/License version of their software. Normally referred to as "Shareware, pro-version, deluxe, etc. 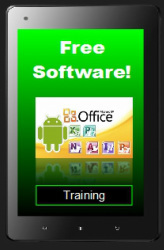 Periodically, your free software may display a "pop up notice" indicating that there is a free update available. Disregard the bombarding notice invitations to buy the "PRICE VERSION!. Otherwise, the free software is all you need. Do more with Windows on your PC with free programs from Microsoft for photos, movies, instant messaging, email, social networking, and more. Get it all in one simple download. Skinable desktop notes to remind one of important things to do. Once on screen, stickies will remain where placed until closed, even through reboots. EssentialPIM is a personal information manager that allows you to keep all your information in electronic form. All your appointments, tasks, notes, contacts, password entries and email messages are stored in a graphical user interface and easily accessible form. takes a one-click approach to protect, repair, clean, and optimize your PC. With over 150 MILLION downloads since 2006, this fantastic, award-winning, free PC repair software is a "must-have" tool for your computer. It's easy to use and 100% safe with no adware, spyware, or viruses. Scan your PC to automatically check for driver updates. The only free Antivirus that also includes a Firewall. Protect yourself with the ultimate free Internet security solution. The all-in-one security solution that seamlessly integrates antivirus and firewall together for maximum protection and performance. Windows Media Player offers great new ways to store and enjoy all of your digital media. It's easier than ever to access all of your music, video, pictures, and recorded TV on your computer. Free Studio is an all-in-one package bundling all free multimedia applications developed by DVDVideoSoft. Free Studio Manager has 8 sections for easy access to any application: YouTube programs; MP3 and Audio; CD, DVD and BD; DVD and Video; Photo and Images; Mobiles; Apple Devices; and 3D programs. CamStudio - Free Screen Recording Software Ezvid is the best free video maker, screen recorder, and slideshow maker for Windows, featuring video editing, screencasting and screen capture. You can instantly record your screen, desktop, browser, make gaming videos, and record virtually anything on your computer. No registration, no subscription, and no signup is required. Ezvid works well on a wide variety of Windows platforms, including Vista, XP, Windows 7 and Windows 8.